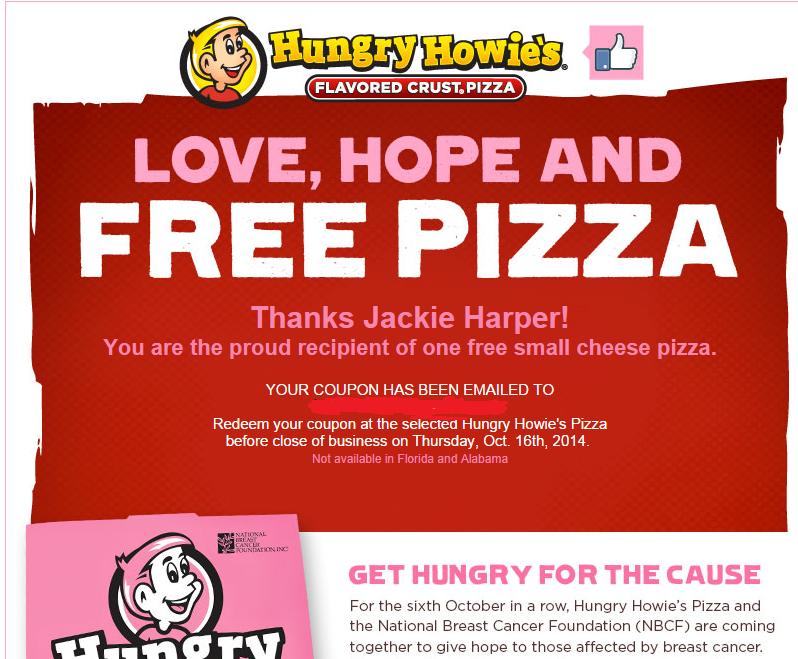 Go to Hungry Howie's Facebook page and “Like” them to snag a coupon valid for a FREE Small Cheese Pizza! You need to pick the Hungry Howie's location where you plan to redeem the coupon. Coupon will be sent via e-mail. This coupon is valid only through October 16th.